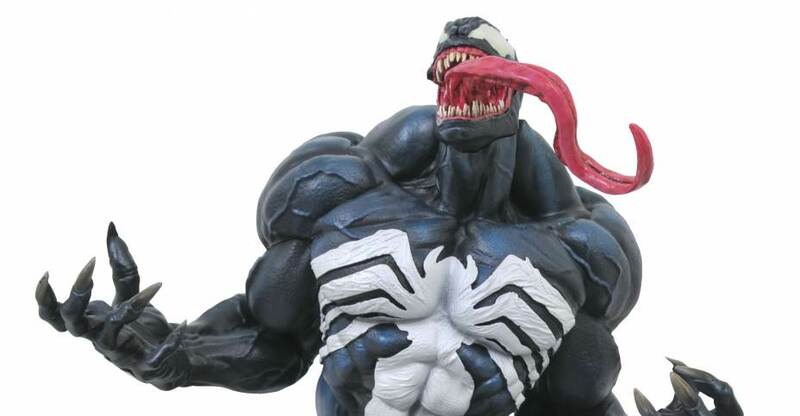 A new Venom Statue has been revealed by Marvel.com. The photos show the upcoming release by Diamond Select Toys, for their new Marvel Premier Collection Venom Statue. The new collectible will stand at 12″ tall. It will be limited to 3,000 pieces. Venom was sculpted by artist Alejandro Pereira. It features the symbiote breaking free from a glass enclosure, green ooze spilling out everywhere as Venom screams in triumph. Pricing and release date were not made available at this time. Previous Marvel Premier collection statues have usually been in the $150 price range. Click the banner photo above for the full size image. 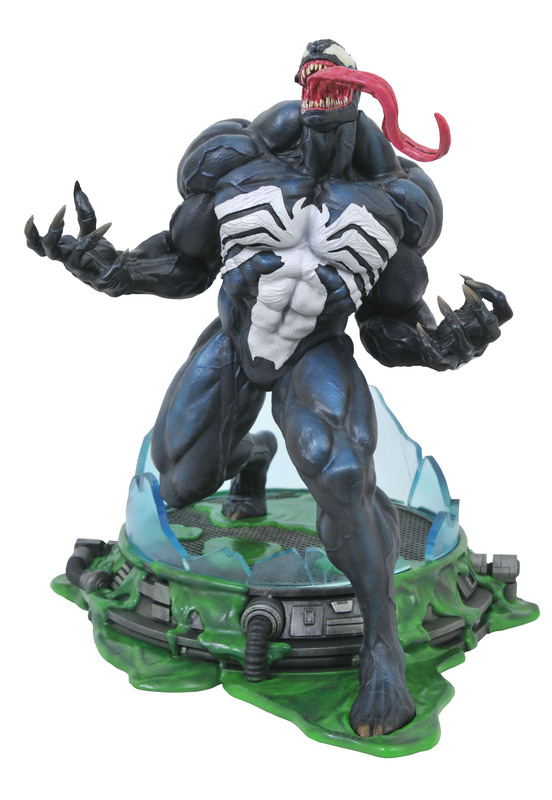 Seems as if the sculptor was inspired by the old Horizon Venom model kit. Its not the same pose but, it has a similar feel. Also, I like how they gave him a clawed foot but kept the silhouette as a (classic Venom) costumed foot-clever.